The aperture is an adjustable hole created by a diaphragm in the lens through which light passes to form an image. By adjusting its size, just like the iris of the eye, making the diameter smaller or bigger, you can block off a portion of the light coming through the lens making the image brighter or dimmer. This allows you to compensate for strong or weak lighting conditions. Closing or stopping it down, allows for less light to pass through the lens which you might use when the world around is simply too bright. Enlarging it or the opening of the iris, lets more light in through the lens and compensate for poor light. How is it Measured ? It is measured in f-stops and each stop represents a factor of two in the amount of light admitted. The photographer makes adjustments to the opening of the diaphragm by setting the f-stop. The most confusing part for beginners is that a larger aperture/opening of the iris refers to a smaller f-stop setting. This can be a little counterintuitive but is this way because an f-stop is the ratio of the focal length of the lens to the diameter of its opening. So for a 50mm lens with an iris opened up to a diameter of 12.5 mm results in an f-stop of f4 50mm / 12.5mm = 4. Decreasing the denominator which is the diameter of the iris opening to 6.25 for example will result in larger f-number of 8. Therefore, the larger the numerical value of the f-stop, the smaller the opening of the aperture. Even more confusing is the fact that lenses are calibrated with a strange succession of apertures: 1.4, 2.0, 2.8, 4.0, 5.6, 8.0, 11, 16, 22, 32, 45, 64. Each step represents a halving of the amount of light that comes through the lens. This is all you need to know but if you are still curious as to WHY ? Then, here it is - the area of the iris is proportional to half the diameter squared. So multiplying the f-number by the square root of 2 halves the amount of light coming through the lens. As it contols the amount of light that enters a lens and together with the shutter speed setting of a camera, it directly effects the total exposure of an image. It not only regulates how much light passes through the lens , but aperture interrelates with the shutter speed setting leading to a significant effect on how much of the image is in focus . It also has an effect on the speed of the lens . It is determined by the maximum amount of light the lens is capable of passing through which is indicated by the smallest f-stop value. When a lens is capable of passing through more light than other lenses of the same focal length, then the lens is viewed as fast (make fast italic). Examples of what is considered fast lenses are the ones that have a maximum f-stop values of 1.0 and 2.8 . 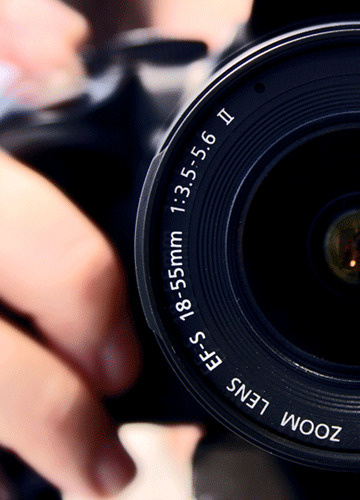 The larger the aperture, the faster the lens. 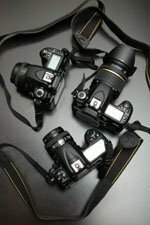 The reason this is important is that fast lenses allow photographers to shoot at higher shutter speeds in low-light conditions.